Below is a list of countries where you can study to become a Medical Doctor. Do you agree to apply to the University through Universal College and benefit from our offer ? with the statement " My name is ...............and I will apply to your University through your contact representative : UNIVERSAL "
Kosice is the second largest city of Slovakia and possesses the major airport of the country with many international flights per day. Kosice is a University town with many academic schools. Pavol Josef Šafárik University was found in 1657 by the Jesuits monks and was established as one of the majors in the region by the Roman Emperor Leopold I in the year 1660. During the 17th and 18th century it greatly influenced the progress of science and the European scientific spirit. Place: The entrance examination test can be conducted either in the University premises or at the agent's premises. Bratislava is situated in the middle of central Europe, only 40 minutes distance from Vienna and less than 1 hour away from Prague. 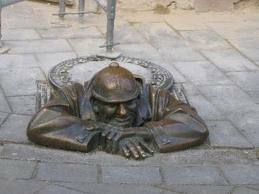 Bratislava is a fabulous city with deep historical roots and civilization. The city expands in both sides of the Danube river and is an important industrial, cultural, educational and scientific center of the region. Bratislava has all the advantages of a cosmopolitan city with a long history. Slovak people are very friendly and most of them speak English and German at a very good level and are eager and kind when foreigners ask them for information. There are various activities one can do in Bratislava. Visitors will discover that not only there is something for everyone but also someone for everything. For the lovers of the art and culture the city offers important museums, art galleries, theatres and music halls and excellent opera performances in the Slovak national theatre. There are also plenty of cinemas and night clubs for those who prefer a more intense way of life. Bratislava is the city of the young people who find there a lot of places to spend an entertaining evening. They can taste the beers and wines at beautiful taverns or spend their free time in cozy pubs. There are also restaurants with international kitchen, such as Greek, Italian, Chinese & Japanese. There are also plenty of department stores and shopping malls. 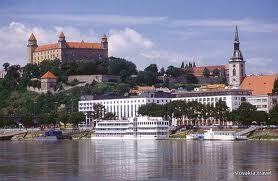 Generally speaking, Bratislava offers to the students all comforts of a modern city, at reasonable prices. Comenius University in Bratislava was founded in 1919. It is very close to the historical center of the town and the famous Charles castle. In Bratislava there are plenty of major hospitals where students are trained in the clinical lessons. Comenius University Medical Faculty offers two main undergraduate study programmes in English: General Medicine and Dentistry. The duration of the studies is 6 years. The students can be admitted in the programme, after successfully passing the entrance examination test. The test consists of multiple choice questions in Biology and in Chemistry. Examination dates are scheduled during the summer. Usually there is a deadline for submitting relevant documents together with the application form to the University. Universal, acting as a representative of the University, is accepting applications after the deadline, in case there are still available places. Since the academic year 2001/2002 the credit system has been introduced that is compatible with the European Credit Transfer System (ECTS). First to third year's courses provide theoretical and pre-clinical lectures, labs and practical classes, the remainder of the fourth and sixth years include diverse clinical experiences. Since 1990 the Bratislava Association of Medical Students has been working at the Faculty in the field of international cooperation and scientific information. EuroTransMed satellite equipment has been available since 1995 at the Faculty. It has been of great importance for medical education of both medical students and physicians. Since 2007, the University offers accomodation student halls at reasonable prices. The Faculty of Pharmacy accepts 80-100 undergraduate students per year and a great number among them are international students. The duration of studies is 8 semesters and are conducted in the English language. After the succesful completion of the four year programme, graduates have to practice for 2 semesters at a Pharmacy in Slovakia or in another EU country. The entrance examination test take place in late August and consist of multiple choice test in Biology and in Chemistry. There are many medical, dental and pharmaceautical faculties in Romania. In most of them there are also English-language programs. For studies in Pharmacy, the state gave permission for the operation of an English-speaking program in 2009. Universities in Romania offer high quality education. A famous graduate of the University of Bucharest is Palade, who got the Nobel Prize in Medicine. Some of the most famous and skilled doctors in the world have graduated from the Romanian Universities. There are many medical, dental and pharmaceautical faculties in Romania. In most of them there are also English-language sections. 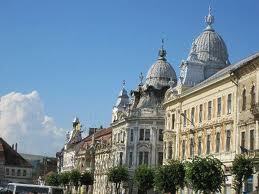 Cluj Napoca is a beautiful city, perhaps the most beautiful city in Romania, very European in character and appearence. There are medieval buildings in the city since it was part of the Hungarian Empire and was inhabited by Hungarians, Saxons and Romanians. 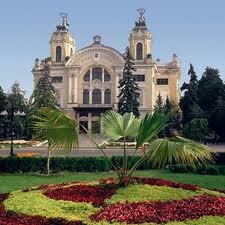 The city is located in the western part of Romania, near the border with Hungary. 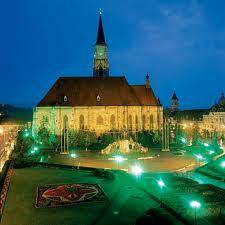 Cluj was one of the most flourishing cities from the era of the Roman Empire until the Austro-Hungarian Empire. The city is considered the safest city in Romania, with almost zero crime rate, with an unemployment rate of 3%, and the best conditions for student life. Major shopping centers such as the Iulius Mall, and the city’s international airport with many international flights daily, make foreign students feel comfortable in the city. The University has a long tradition of medical and pharmaceutical studies. Studies at the University of Cluj are evaluated in international ranking sites as being better than their equivalent in Bucharest and in Iasi. The Medical University dates back to the Middle Ages and it has evolved into a university with worldwide recognition. Today it has about 10,000 students, among which there are currently many international students. The University constantly renews their curricula in order to keep up to date with new developments in science. The University "Iuliu Hatieganu" in Cluj (Cluj) has one of the largest libraries in Romania. Studies in Cluj are officially recognized by all European countries. Cluj, which has been one of the most flourishing cities from the era of the Roman Empire until the Austro-Hungarian Empire, has a tradition of Medical studies . The tuition fees are 5000 euros per year. ie tuition is 2500 euros. Admission to the course is without examinations, only through the evaluation and ranking of the applicants. The city of Iasi is one of the oldest cities in Romania, known for its great economic and cultural development during the Middle Ages and the Ottoman rule. Population is about 350,000 inhabitants and it is the second largest city of Romania. Iasi airport has several flights a day and connects to many cities in Europe. Since the academic year 2009/2010 there were changes in tuition fees at universities in Romania and the admission system for European students. The academic year lasts 30 weeks, beginning on October 1 and ending on July 8, when all exams, regular and repetitive, have been completed. Lectures are interrupted for the Christmas holidays and Easter. The academic year is divided into two semesters of 15 weeks. Each semester is followed by an examination period (Winter period: January-February, Summer period: June-July, respectively). The library has more than 400,000 volumes and it is connected with all the electronic libraries of the world. Rent prices in Iasi are comparatively cheaper than in other cities. Many foreign students study at the Medical School and the School of Pharmacy each year. Universal provides students admission to the University and helps them with the registration process and accommodation. The University of Iasi has an english-speaking department in Medicine, and since 2009, in Dental Medicine and Pharmacy. Major Universities in Germany, France, Italy etc. have collaboration with the University of Iasi and send their students for summer internships in Iasi hospitals because they do not have enough capacity for education in their own hospitals. This collaboration will expand this year to universities in Switzerland, Sweden and Finland (the names of the universities are listed in their website). 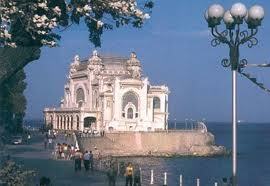 Constanta is a beautiful seaside city on the Black Sea. A city with deep Greek roots since the ancient Greek years, it was originally named Tomis, but during Byzantine times the emperor Constantine gave the city his name. In the northern part of town you can find the famous "Mamaia," a seven kilometer long beach with a million tourists a year, known as the Riviera of the Black Sea. Further north is the beautiful Danube Delta. In the city there are many large parks and gardens. The city is vibrant, appropriate for young students. Major banks and other global chains such as McDonalds and KFC are present, as well as internationally renowned department stores, libraries, entertainment, exhibition centers, which make the city suitable for a pleasant and comfortable stay. The Medical University of Constanta is the most dynamic medical school in Romania and is chosen by students from all parts of the world. 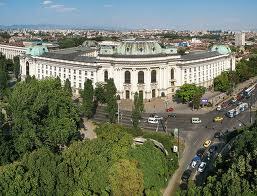 It is housed in a new building built with the most modern standards, in a park on the Alea Universitatii street. The New University Campus was founded in 2008 and is the largest and most modern University Campus in Romania and in Southeastern Europe. Only the Medical School has an english-speaking section. The other schools have only Romanian sections. Currently all non-Romanians study in the English-speaking section, because everyone knows that they have a great advantage as future scientists if they are academically trained in english. 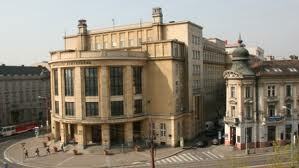 Having studied in the Medical School of Constanta is an invaluable asset to a brilliant career in the medical field. Rents on apartments ranging from 350 to 500 euros per month. Universal provides you with immediate admission to University. Transfers from universities in Italy, Hungary and Czech Republic are also possible. In Bulgaria, there are courses in Medicine in the English language in Sofia, Plovdiv, in Pleven and Varna. The language of instruction is English and since the entrance of Bulgaria into the European Union the degrees are equivalent to the ones obtained in other European countries. 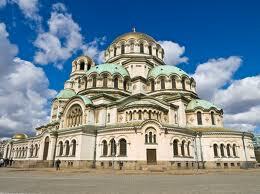 Sofia is located in Bulgaria, in the Balkan region in Eastern Europe. Rent prices are very low for European standards. The cost of living is low, in contrast to the standard of living is very high. The city has excellent infrastructure and offers students a pleasant stay and diverse entertainment. In Sofia you can find a lifestyle that has nothing to envy from the other capitals of Europe. The language of instruction is English, and since the entrance of Bulgaria into the European Union the degrees are equivalent to the ones obtained in other European countries. The Medical Faculty of Sofia University is the oldest medical school in Bulgaria. The first courses began in April 1918. Today the School of Medicine has 47 departments and clinics, and about 1300 professors. The level of education is constantly being upgraded and modernized by advanced materials, constantly adjusting to new medical data. So far 35000 doctors have graduated from the University. 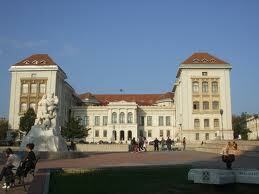 Studies in Medicine at the University of Sofia are equivalent to any European university. The University puts an emphasis in research and has partnerships with international research institutions. The medical studies last 6 years. Several documents are required for registration. All documents must be officially translated into the Bulgarian language from the translation department of the Ministry of Foreign Affairs. Universal takes care of the process of translating the documents. After the approval of the documents, prospective students are required to take exams. Universal has a list of tests that help students prepare for the exams, and these can be sent to students upon request. Charles University was founded in 1348 and it was the first University northern to the Alps and one of the oldest Universities in Europe. Graduates of Charles University include many scientists of international prestige, who have shined in all scientific fields. Charles University has many Faculties, among which, 5 Faculties of Medicine, 3 Faculties of Dentistry, 1 Faculty of Pharmacy and 1 Faculty of Physical Education and Sports. The Faculties of Medicine are located in Prague, Hradec Kralove and Pilsen. The Faculty of Pharmacy is located in Hradec Kralove. The most prestigious school for studying medicine in Czech Republic is the First Faculty of Medicine at Charles University in Prague. First Faculty of Medicine, where you could gain your MD degree, is one of the originally four faculties of Charles University, established in 14th century. It is the biggest faculty in Czech Republic. There are more than 3,100 students studying medicine at this faculty. They are taught by more than 650 pedagogical and/or scientific experts. First Faculty of Medicine gained the certificate of US Ministry of Public Education as a first faculty in Czech Republic. Studying medicine in Prague is not only a chance to study in a beautiful historical city of Prague which is, according to many people, the most beautiful metropolis. First of all, it is a chance to get MD degree which is accepted both in US and EU at one of the top schools in field of medicine. The tuition fees are in Czech crown and depend on the exchange rate of the currency for all faculties. Charles University's 2nd Faculty of Medicine offers you a six-year full-time M.D. study programme in General Medicine. The Faculty, as part of the largest teaching hospital in the Czech Republic, provides modern and comprehensive teaching methods. Graduates gain a broad education and acquire skills in all branches of medicine, especially in Paediatrics. The 2nd Faculty of Medicine, together with Motol Teaching Hospital, is a respected educational and research centre. The University accepts the International SAT test, which is organised by special examination centres all over the world. The University suggests the SAT test, in Physics or Mathematics, Chemistry and Biology. SAT test takes place many times during the year, but students usually prefer the May test. SAT examination results are announced a month later and must be posted through our college to the University. Usually the University requires about 1850 SAT points. Alternatively examinations take place at the University' s premises in July in Prague. The 3 rd Faculty of Medicine belongs to the tradition of the Charles University from the earliest times, for medicine was one of the four subjects taught ever since it was established in 1348. Since 1996/97 academic year the Faculty has been running according to a new curriculum of Medicine. This curriculum reflects new demands on the doctors of the next millennium. The instruction and training of the 3 rd Faculty of Medicine takes place mainly in the Faculty Hospital Complex Kralovske Vinohrady in Prague 10 and the nearby State Medical Center. Pregraduate and post–graduate students of medicine as well as Bc.students also attend lectures and seminars at the Psychiatric Center in Bulovka Hospital and – from the March 27 th, 2001 when a contract on cooperation was concluded with the Homolka Medical Center and the Institut of Mother and Child Care in Prague–Podoli – the instruction also takes place at these two locations. The entrance examinations consist of a multiple choice test in Physics or Mathematics, in Biology and in Chemistry. The entrance examination take place in Prague in June and in July, but usually there is an application deadline. For the Academic year 2009-2010 the application deadline was the 31st of May. Hradec Kralove is the historical and cultural centre of East Bohemia and, after Prague, the largest town in Bohemia. Hradec Kralove is situated 100 km away from Prague. The city can be reached by local transport, taxis, private car in less than one hour and the condition of the road is very good. Hradec Kralove is a beautiful city with an exceptionally large University student community. Hradec Kralove nowadays has about one hundred thousand inhabitants and represents a centre of modern Czech architecture with theaters, galleries, a music hall, high schools and colleges. The University has 3 main Faculties: The Faculty of Medicine, the Faculty of Dentistry and the Faculty of Pharmacy. All Faculties run English speaking programs for foreign students. Entrance examination for the English speaking program is organized together for the Faculties of Medicine and Dentistry and they take place by the end of May, in Hradec Kralove. The test is a multiple choice one and includes questions in Physics or Mathematics in Chemistry and Biology. The University charges the applicants an application fee and an examination fee. The Faculty of Pharmacy is located in the beautiful city of Hradec Kralove, 100 km away from Prague. Courses are taught in English, the duration is 5 years and the studies lead to a Bachelor's Diploma in Pharmacy. Halls of Residence are also available at the University. The address of the University is: Heyrovského 1203, 500 05 Hradec Králové, Czech Republic. Acceptance for studies is obtained without entrance examinations, but through evaluation of the qualifications and reference letters. The duration of studies is 4 years and one additional year is required for practical training in pharmacies or hospitals. Universal ensures admission to the University. The Department of Physiotherapy is one of the most prestigious in Czech Republic. Czech Republic has a tradition in Sport Education and in Physiotherapy well known all over the world. There is an application deadline usually in February and, in case there are any vacancies, also in June. We submit the application to the University. We are proccessing the applications to the University together with the relavant documents. We are sending the syllabus for the test, sample questions and past papers. We are organising tutorial lessons in person or on line and we are preparing students for the entrance test. We are taking the acceptance letter and we advice the applicants for the procedure to get the student visa. We are preparing the stay of the students for 2-3 days in a hotel or we book a room in the student hostel. We are waiting the applicants in Bratislava. We help them with the admission procedure and with the arrangment of their stay in the student hostel or in a house in the City. We support the studies and we help them during all years of studies.